The following is a list of health insurance plans with which Northville Vision Clinic is currently contracted. We have working relationships with other health insurance plans. 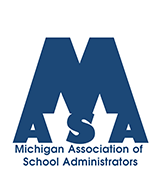 If you don’t see your plan listed, or you have any insurance questions or concerns, please call (248) 348-1330. 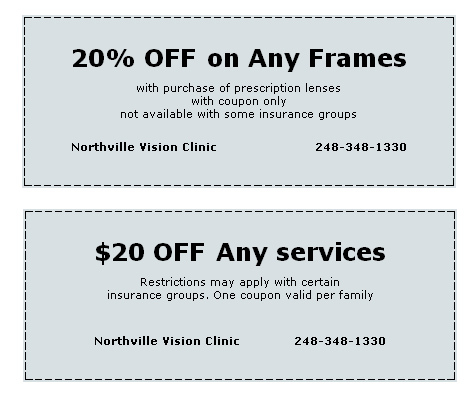 DISCLAIMER: Northville Vision Clinic’s participation with any product or insurance plan is subject to change without notice. Additionally, insurance companies offer a variety of plans and may change the names and benefits at any point. A patient’s level of coverage and access to Northville Vision Clinic depends on the specific benefits outlined in their plan. 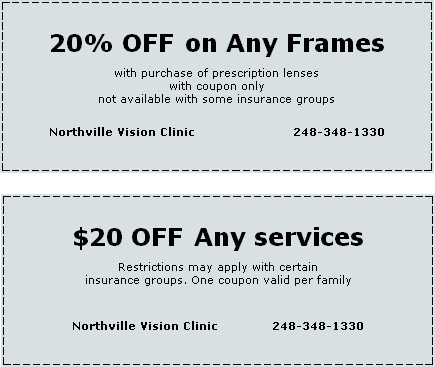 To ensure that Northville Vision Clinic optometrists are in-network, it is the patient’s responsibility to verify that Northville Vision Clinic is a participating provider and their benefit plan allows them access as of the day of a visit and/or admission.